At long last, the cooler weather is here! The snow flurries we experienced just this morning make us want to fill our bellies with warm, hearty goodness. And if you’re hosting a winter wedding, your guests may feel the same way. Enter the grits bar! Grits have taken center stage as gourmet comfort food has increased in popularity. A grits bar is a wonderful addition to a station or small plates reception. Another beautiful thing about grits is their versatility; you can serve them for a brunch, lunch or dinner reception! Creamy and delicious but mild, grits are the perfect vehicle for all sorts of delectable toppings. You can offer plain and cheese grits along with toppings such as scallions, crumbled bacon, shrimp, chopped ham, various cheeses and more! Or offer an assortment of already topped grits, such as pimento and cheese grits with ham, low country shrimp and grits and grits with braised short ribs. YUMMY! 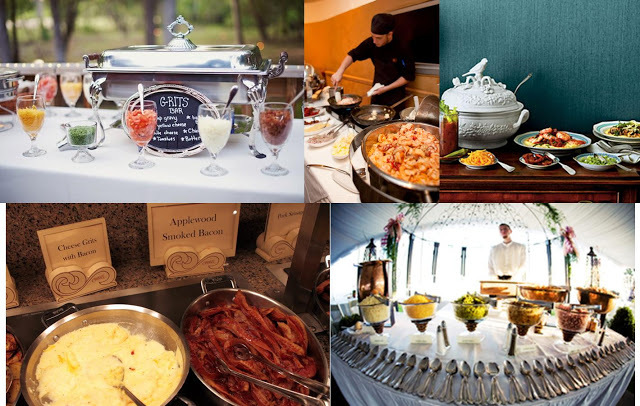 Talk with your caterer to see what wonderful grits dishes you can come up with together! By the way, did you know that Texas is in the “grits belt” which stretches from the Lone Star State to Virginia? Stash that factoid in your random Southern trivia file! Based on the designer’s original watercolor artwork, Stevie Streck Designs invitations are lovely, unique and whimsical. She offers several designs that are just perfect for all of the social events that go along with weddings: engagement parties, wedding showers, bachelorette parties, bridal luncheons and rehearsal dinners. We were so excited this summer to add this collection to our lines we carry in our Stardust salon. Check out some of these simply darling designs! Soooo cute, right?! Ladies, this is just the tip of the iceberg! 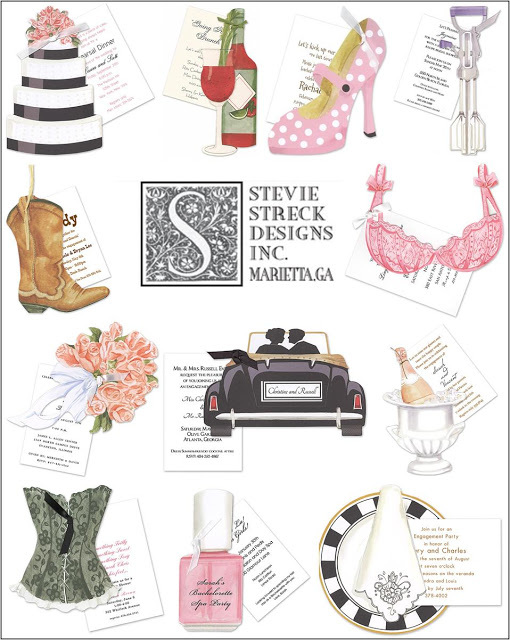 Come in to our Plano location to check out our Stevie Streck album full of adorable invitations for every wedding-related celebration you can think of! p.s. Be sure to check out Stevie’s amazing story; it’s a really good one! Historically a mere formality that followed the wedding rehearsal, the rehearsal dinner is intended to give the couple’s friends and families time to relax before the wedding day and an opportunity to get to know each other. Finally, the rehearsal dinner has evolved. Now, while the dinner still is to never overshadow the wedding ceremony and reception, grooms’ families are finally showcasing their own event planning savvy by hosting a fabulous rehearsal celebration. More mothers of grooms are seeking our planning services to help them design a fun and elegant event, whether the dinner is to be formal or more casual. 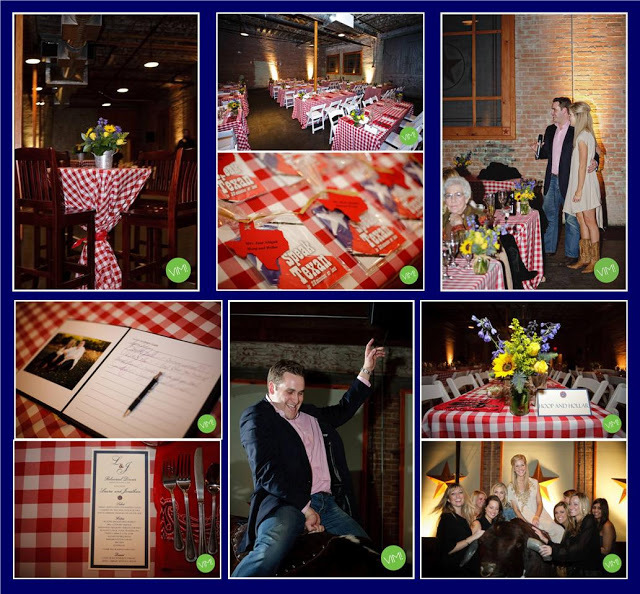 We help them select the perfect venue, determine a theme and find fun and creative ways to implement it. As with any great wedding reception, timing is important to the rehearsal dinner, so our planners also help them map out the evening’s schedule, working in any special touches throughout the event timeline. Another recommendation we like to make is to engage a professional photographer, or even a videographer, to capture the party. So many valium vs xanax special things, such as touching presentations and witty toasts, take place during the rehearsal dinner, it’s important to preserve those memories! 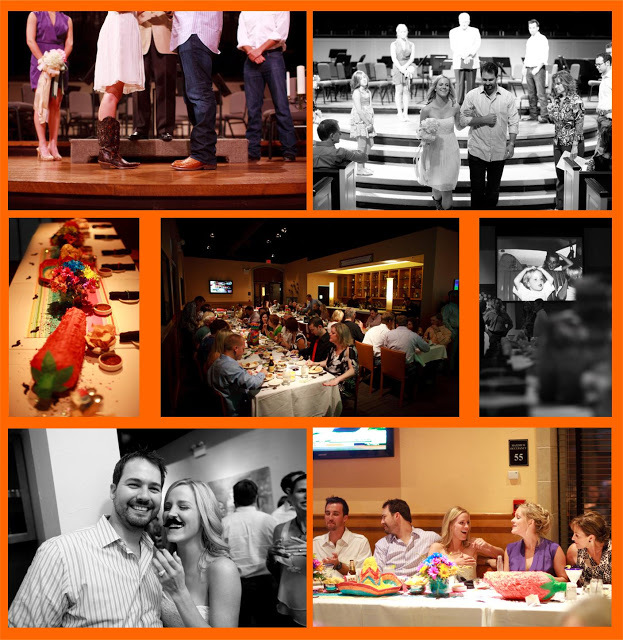 Here are some images from just a couple of the rehearsal dinners we’ve planned with grooms’ families. This couple had a lot of out-of-towners coming in for the wedding, so we went with a Texas theme. The caterer served authentic barbecue; we incorporated cute Texas-y decor, including wildflowers and bandannas, and brought in a mechanical bull for guests to ride! Props are always a big hit at rehearsal dinners! We used cute fiesta-themed pinatas as part of the decor at this Tex-Mex rehearsal dinner and the guests had lots of fun with the stick-on mustaches. The groom’s family also put together a sweet photo montage for guests to reminisce about the bride and groom. How ’bout it, brides? Are your future MIL’s planning a fun and super-special rehearsal dinner for you? We look forward to seeing this trend continue! Happy planning! 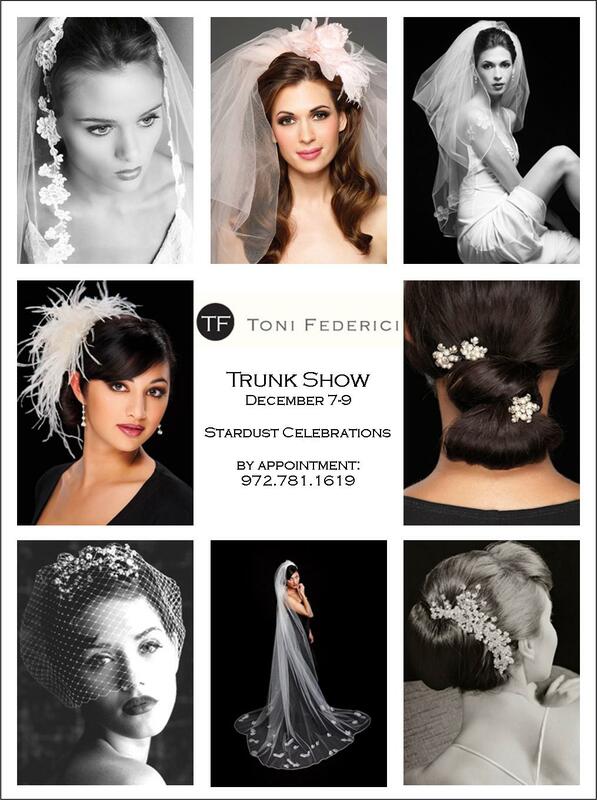 Timeless elegance and sophistication are hallmarks of Toni Federici’s gorgeous bridal veils and headpieces. Her stunning wedding day accessories are frequently featured on bridal reality shows and are sought after by celebrity brides. Join us this weekend at Stardust Bridal Salon for a Toni Federici Trunk Show, when we will be joined by a representative of the designer. You must call for an appointment (972.781.1619) and bring your gown to your appointment.